Can a tattoo cure a phobia? Our Worst Fears: Stained Skin is rated 3.7 out of 5 by 41. Rated 5 out of 5 by IdahoForever from Great Adventure Game Played the demo, and I was hooked. So I bought it just to find out what happened next, and didn't stop playing the game until it was over. Just finished the game, and I am glad that I bought it. It's a long game, with quite a few HOS, but there is a great story built in, plus other puzzles. The game is fairly challenging, but I only had to look at the walk-through a couple of times. The graphics are good. The characters in the game are a down-to-earth couple who do detective work. So, when they are victimized, they use their detective skills to solve the problem, and get to safety. Rated 5 out of 5 by GypsyBeLoved from I love this game I read the reviews to see if others thought this game was any good and there are a variety of answers. I decided to try the demo and I'm so glad I did. I love this game. I got sucked into it. Once I got the hang of how to gather objects it became a lot of fun. The story line is good, graphics are good/great. Music is good. I bought the game and can't wait to finish it. Rated 5 out of 5 by honeyg412 from EXCELLENT, EXCELLENT, EXCELLENT!!! I found this game to be very challenging. The storyline was excellent and kept me wanting to know more. It's the type of game that once you get into it it's very difficult to stop playing. Once or twice I had to look at the walkthrough but that certainly didn't take away from the game play. It's a game that will keep you thinking through the challenges and wishing there were more games made like this. HOS are not too difficult and I thought the written story in the book was brilliant. It's a must try! Enjoy. Rated 4 out of 5 by rog363 from Our Worst Fears: Stained Skin opened door to room 13-03 but game will not let me enter to do the hidden object and get the telescope lens. any suggestions love the game, would like to finish it. any help would be greatly appreciated. Rated 4 out of 5 by centauri272 from Different kind of game! This game has some interesting twists. There are HOS but also various objects to find in the locations. The mini-games are easy. There is a lot of back and forth and no map, but you are notified when an area is complete. The dialogs are sometimes too long for me. The hint system shows you the way. There are also sparkles in the Expert mode. The game is rather short; for me a bit more than 2 hours. Rated 4 out of 5 by bonneymomma from Great... until the end!!! This was a great game!! Not too difficult, but challenging enough that I didn't get bored. I had to consult the walkthrough a few times to get through the game. I was highly disappointed in the ending! Another great game ruined by a pitiful conclusion!!! Rated 4 out of 5 by Juju38 from Not bad! Quite an enjoyable game, and i spent an afternoon of quiet bliss playing this game. Great storyline and the hint system is great of you get stuck. Rated 4 out of 5 by denniann2 from fun but hard i had to go back once or twice to the walkthrough and get help. it is a good game, though and worth buying. Rated 4 out of 5 by zorabelle from Good I liked this one even though the graphics fell short in the hidden object scenes. 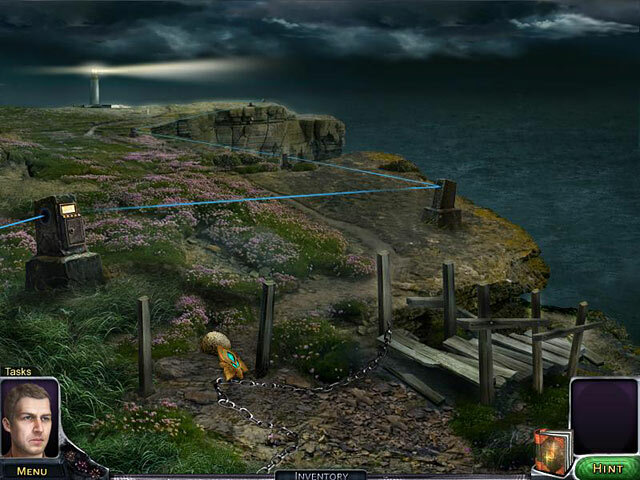 These scenes were quite dark making it hard to find things.Otherwise the game was fun but not a memorable one.There was the usual running around but there was a different way of collecting things.This is not a short game and one which is straight forward enough to not need a walkthrough.The hint will show you where to go if you need help. Rated 4 out of 5 by aleta59 from Different, but good Some of the reviews seemed concerned about the suicide aspect, but it is instigated by someone else, and this is a mystery game. Would have rated higher, but way too many sparkles. I like to figure out some things on my own. HOS mostly clear, some interactive. Good storyline. No VOS. You can do HOS in 3D puzzle mode. Fair length (about 6 hours on casual mode). Worth buying, especially if it is on sale, as mine was. Good graphics. Rated 4 out of 5 by jmcbeauty from Definitely a good game The visual art is good and the music was well done. It was difficult to get started but once I got past the beginning it was involved, entertaining and enjoyable. I found the "goggle" choice made it a bit more of a challenge and different than the average hos game. The hint button filled quickly and was very useful to know where to go next. I also liked the "area completed" addition so I didn't have to go back somewhere I didn't need to to. I also liked the interaction between the two main characters as you go through the game. I only played the demo but thoroughly enjoyed the time I spent. Definitely a buyable game. Rated 4 out of 5 by Bogey_2006 from A different style of HOG play Nice game - nice change of pace. Interesting storyline. Isn't hard but keeps you playing to see the finish. Enjoyable way to spend a couple hours on a rainy day. The 2.99 fair value. Rated 4 out of 5 by skye1945 from Something a bit different I was surprised by how much I enjoyed this game. WARNING - if suicide upsets you avoid this one. Otherwise it is an entertaining game with some different puzzles for a change. I played in the casual mode and the help was there with me all the way (too much so if you like it difficult and challenging). As with most games the story was a bit far fetched but work your way past that and it was interesting and "logical". One aspect I wish more games included was an "area complete" notice so you don't have to go back and try there again. Also there were no voice overs which I hate just reading to enhance the story. I did not find much use for the journal - it only seemed to tell me what I had done. Rated 4 out of 5 by Rebr2009 from VERY NICE GAME Great story - you travel around the world searching the solution of a mysterious case of "tattoos and deaths". At the beginning it seems to be kind of slow: you do only one thing and have to go elsewhere,... but gets better and better every moment - Graphics very well done - Excellent Atmosphere - Good level of challenge - Nice characters - Vey interesting locations - Lot of HOS (some are a bit dark) and varied different puzzles. Rated 4 out of 5 by drkne from I'd say 3.5 if I could It is a fun game, but I'd say most of the aspects are a bit above mediocre. Nothing fantastic about it, there are better games. But there are also many many worse and less enjoyable games. While it's not one of my favorites, I'd say it's worth a play if you're looking for something to do since it's decent enough and a pretty good length. Particularly good if you can get it as a daily deal or something. Rated 3 out of 5 by Kayseax from Fun game, but frustrating This game was pretty decent to play. However, the most frustrating part was you had to do X before you can pick up an object you already see, which means lots of back tracking, Other than that, it was fun, and kept me entertained for a few hours. Rated 3 out of 5 by Powrtoc1 from Where are we going with this? Sorry, but did not care for the storyline. If it weren't for the hint button there would be no direction to this game. The sparkling "prehints" that actually show you where the item you need is was a no-brainer. Ghosts? What made them appear all of a sudden? I will say the HOS weren't too bad, though. The artwork was decent, although lack of voiceovers was awkward. The journal reading like a novel was different. Rated 3 out of 5 by Knginatl from Strange, unique game! I'm torn about this game...awful or genius?? I haven't played a game quite like this one before. The gameplay takes a while to get used to. It can be confusing at first. But even then I found myself using the hint button a LOT, more than any other game I've ever played. The main problem I have with this game is the graphics. They were mostly fuzzy and blurry making it hard to discern objects. But strangely, the graphics of the character's faces were crystal clear. Most of the puzzles were unique and I enjoyed playing them - one involves plasma ribbons. But some of the puzzles that involved walking around and finding objects were either super easy or frustratingly hard. I guess that might be from multiple people working on the game. The story was good, very different, involving tattoos, suicide, and murder. The writing was obviously done by someone with English as a second language. It wasn't bad though, and didn't detract from the gameplay. If the developers can clean up the rough edges they could make a really great game in the future! Overall, I'm giving this game 3 stars. I recommend it if you want to play something very different from most of the games on here. It can be frustrating at times, but has some very nice original touches as well. Rated 3 out of 5 by grunny50 from Confusing and Mushy I have no clue what reviewers were looking at when they posted that the graphics were beautiful. Must have been a different game?! The first time I finished this game, I was a noob at HOS's, and found the game to be fun. Today, going back over it, I am amazed that I got all the way through it. Horrible graphics, just okay puzzles, and I'm thinking that it was put together by a group of people who said, "hey, we can make a game!" Really? Shouldn't have done it. Rated 3 out of 5 by voodoogueen from Our Worst Fears : Bad Writing Our Worst Fears: Stained Skin has a very dark theme that I found more sad than spooky. I am a reader and given a journal or a cutscene with dialog, I'm not going to miss a word. I usually love games with ghosts and goblins, murder and mayhem, but this one left me feeling flat. I don't mind if a game asks me to suspend belief, bend logic, or make a leap of faith, but bad writing takes what might have been an interesting plot and chokes the life out of it. Imagine the worst short story written by a high school student taking Creative Writing because Drama Class was full. Call the Guidance Counselor, PLEASE! If writing were not such an integral part of this game I would have given it a much higher rating. It has some innovative puzzles and gameplay. 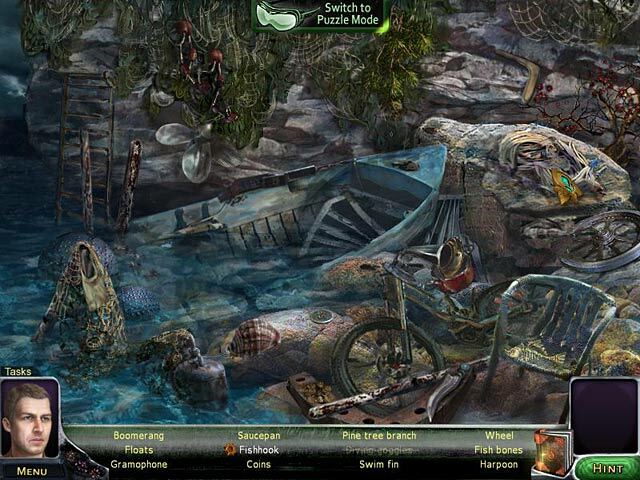 Hidden object scenes have a puzzle mode that is very interesting and can be toggled on and off. I thought the artwork was very well done. Each chapter of the story has a distinct environment that cuts down on the amount of backtracking you have to do to complete tasks. The hint system in casual mode is helpful but I have to admit I was outsmarted several times. You really have to pay attention to each scene in the chapter, but competed areas are clearly announced to help narrow your search. The plot actually has some surprises and I did enjoy the puzzles so this game wasn't a dead loss. It held my interest until the bitter end. I would recommend it to happy, well adjusted players or those who don't bother to read dialog. Rated 3 out of 5 by Nana6177 from Definately Different Review is based upon purchase and completion of game (getting to be rare!). Purchased as a FB special, worth the price. There is no map, you don’t need one you work in a limited amount of scenes per chapter hence, there is very limited to and fro. There were approx. 4 chapters I believe. Graphics were ok, not great. Background scenes were done well while characters were one dimensional. There were no voice overs just bubble text. Music was non-descript. There were times I checked my volume as there was no sound at all. I am not a fan of HOS. However, this was done rather unusual. If you like to take a break from your usual point and click I suggest you try this. Because it was done differently it was not as unpleasant for me. There is no click penalty (bonus). There is some interaction, some fragment, you can even go from a normal HOS by clicking on a pair of goggles at the top of the screen and you basically float the “puzzle” piece over an area and it will expose the HO, different and a refreshing change. Story line is weird, (best I can use to describe it) but it moved along at a good pace. Overall, not great fanfare, but on a slow day it was entertaining and the HOS were refreshingly different. That said, I can't really recommend it...there are better games out there. Rated 3 out of 5 by DrDavid from A mediocre game The authors appeared to have an original idea and may be on to something, but the execution left something to be desired. The end result was a mediocre game with little going for it other than originality. The original part is that the HOS can be played normally or through the application of matching silhouettes to portions of the scene; after the silhouettes are placed, the HOS will have sparkles showing exactly where everything is. One may switch back and forth between modes if needed. That is original but flawed in execution; it just did not seem quite “finished”. There are very many puzzles, which I abhor; fortunately several of the puzzles are solved by the application of intelligence while the rest are rote puzzles which I skipped. The graphics are a bit crude and the cut scenes are good, but long. Dialog is always written and not spoken. The plot is weak, but just interesting enough to make you follow it. The game is certainly not bad, and is probably, for most people, worth buying, it just doesn’t stand out as an excellent game or even as a very good game. It is mediocre, not particularly good but certainly not bad. Rated 2 out of 5 by roaming from Older Style Game Some of the puzzles were clever and different, at least in the amount of time I played the demo (30 minutes), but overall I thought the game was awkward, discoherent, and uninteresting. Rated 2 out of 5 by rkowens from Boring and Repetitive This game appeared to have potential but the game is very repetitive, same scenario over and over again. I am not a fan of the speech bubbles, this is the 21st century I think we can get past that. I did not like this game at all and suggest passing on this one unless you are under 12. Rated 2 out of 5 by 7SlotFever from Poor Graphics and too little challenge Ordinarily I try to look past the little quirks of these games. This one makes it impossible. I played the game for the first ten minutes in casual mode and quickly became annoyed with the constant dialog that holds your hand and tells you what the next step is. It outlines the objects you need to find and tells you the next step that is to be taken. This leaves no challenge whatsoever. I then switched to a new game in expert mode in the hopes that it would eliminate the dialogs and sadly, it did not. The graphics are poor. They are fuzzy and non-descript thus making the objects more difficult to identify and find. All in all, I found a game that was very dissatisfying. I won't be purchasing this one, even after only 30 minutes on the trial. 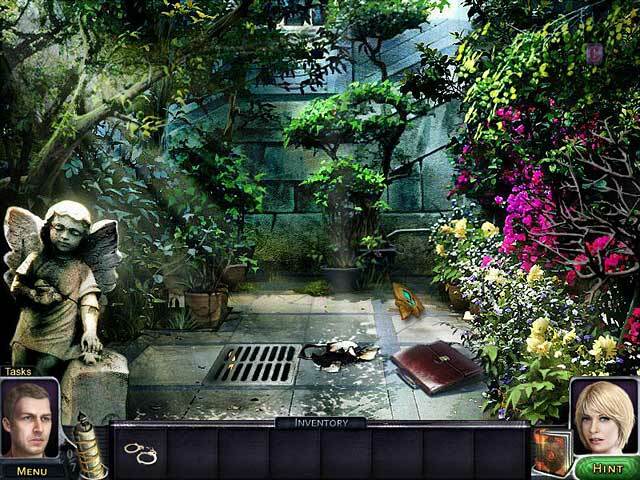 For someone who is completely new to hidden object games, this might be a good one to start with because it holds your hand and tells you what to do next. Otherwise, it may be a complete waste of time and space on your hard drive. Rated 2 out of 5 by lgwlinda from Hated the storyline... As HO games go the game play was OK, but not too difficult so I could see where beginners might like it. The storyline was a little over the top. I think who ever put this together has a real fixation on suicide. It was dreary/gloomy, and not much fun. I believe a story of any kind should have a point. If there was any point here I missed it. In my opinion it wasn't worth the $$ I paid for it, and I wouldn't recommend it, especially for anyone with teens or younger children who have access to their computer. Rated 2 out of 5 by bellbook from Skip it! I was glad I only paid $2.99 for this game. The story line was boring and the game didn't make much sense. It had you constantly backtracking for items and they tried to amuse you by throwing in a ghostly spirit once in awhile. Skip it. Rated 1 out of 5 by MissEricaX from Not able to play it I downloaded the demo and opened it up, however I can't get past the Main Menu- it's frozen and I can't even move the mouse across the screen. All other games work fine for me. I'm on the latest model of the Macbook Pro. Anyone else having similar problems? Can a mysterious tattoo cure a phobia or will it turn a patient into a victim and make him crave for death?